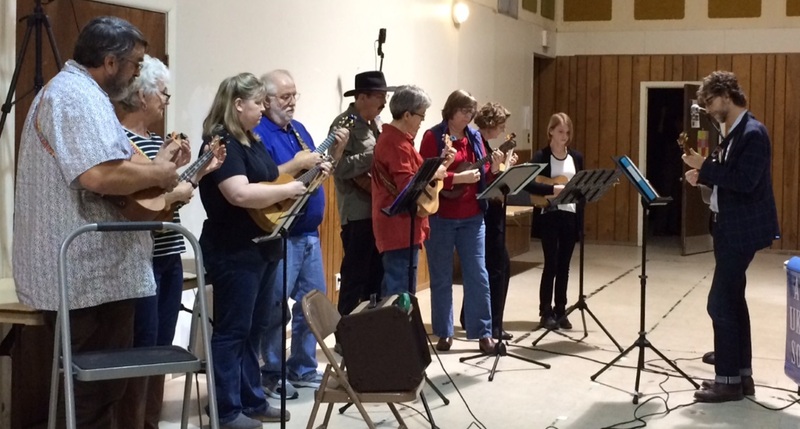 The Austin Ukulele Society had a fabulous evening at the November meeting, as attendance reached an all-time high of around 150 players of all ages. 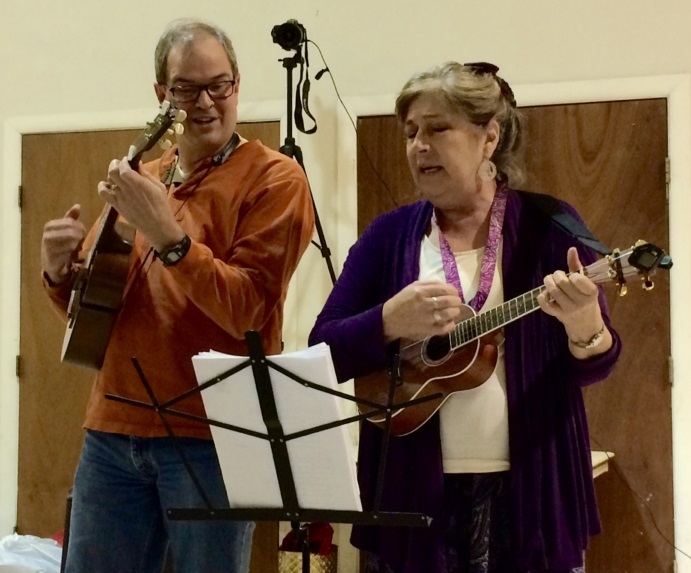 All enjoyed the warm vibes of a Hawaiian-themed evening, as we learned “Mele Kalikimaka,” the way to say (and play and sing) Merry Christmas in Hawaiian. 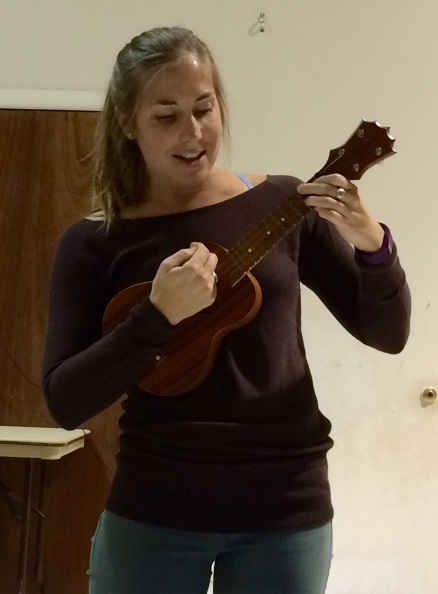 Additionally, we enjoyed revisiting and recording a lovely rendition of “What a Wonderful World” in the style of the late great ukulele master and vocalist Israel “Iz” Kamakawiwo’ole. You can download the lyrics and chords for “What a Wonderful World” or download a copy of the presentation (what we project up on the wall for all to follow along). 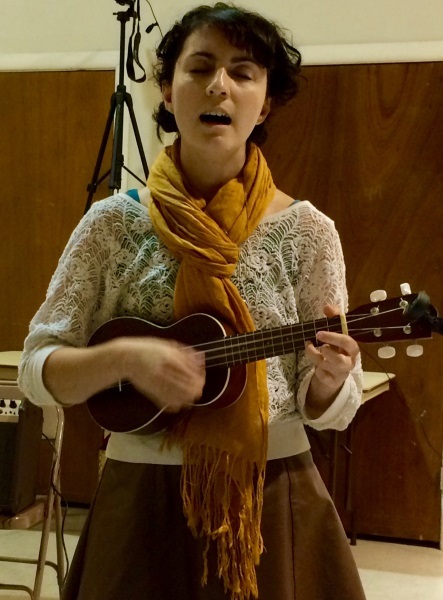 We were all thrilled to be treated to a variety of musical styles and tunes during the open mic portion of the evening; a big thanks to Kevin Carroll’s Ukestra, Erin, Betty, Elizabeth, and Nancy and Jay! We’re also very excited to announce that a fresh batch of Austin Ukulele Society t-shirts is here, with a brand new design for 2015!! Available now for $15! 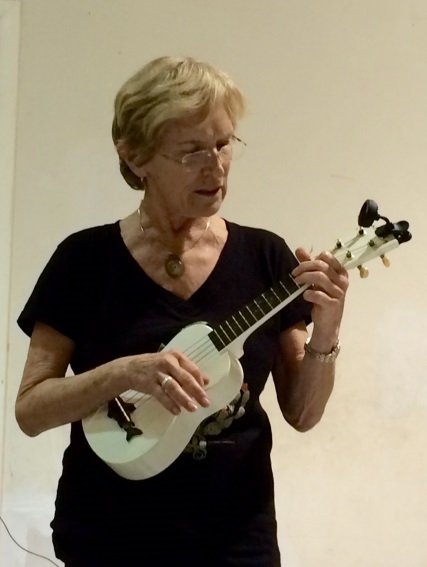 This entry was posted in AUS activities on November 15, 2015 by Austin Ukulele Society.